Most everyone in America, especially from my generation, knows about the horrific disappearance and death of Adam Walsh, a little boy who was abducted from a Sears store in Hollywood, Florida on July 27, 1981. His head was subsequently found by fishermen in a canal in Vero Beach. A serial killer, arsonist, and pervert from Jacksonville named Ottis Toole repeatedly confessed to Walsh’s kidnapping and murder, then would retract his story, then re-confess all over again. He finally confessed again to the murder on his deathbed in prison. 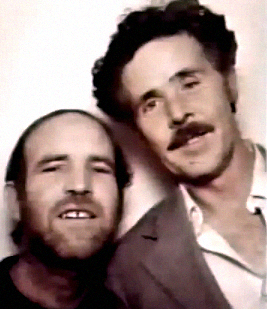 Toole was the gay lover and partner-in-crime of another serial killer – Henry Lee Lucas. Lucas and Toole met at a Jacksonville soup kitchen, and they soon developed a sexual relationship which led to a cross-country crime spree together. Both were caught up with by law enforcement agents separately – Toole in April 1983 for arson in Jacksonville, and Lucas two months later for the killing of an 82-year-old woman – but both told the story that they were members of a cannibalistic cult based in the Everglades called “The Hand of Death”. Henry tells of his indoctrination into a nationwide Satanic cult, and says that he was trained by the cult in a mobile paramilitary camp in the Florida Everglades in the fine art of killing. Other training involved abduction and arson techniques. The first task he was given was the murder of one of the “students,” a young black homosexual who had betrayed his oath to the Devil. He slit the man’s throat and later that same evening, a Satanic ritual was performed in which the dead man’s heart was cut out, his blood drained, and his body dismembered. All of the initiated members of the Hand drank the dead man’s blood and ate pieces of his flesh. The remains of the body were then burned at an altar.There were several hundred students at the Hand of Death training camp, coming from six different countries; over half of them were women. The camp provided unlimited access to all kinds of drug taking, which was encouraged recreational activity. This would sound like absolute pure-D-baloney if not for the fact that both men told the same story separately, in different prisons to different interrogators. They claimed to have met a man calling himself Don Metric who invited them to come to Miami and do “contract killings” for the Hand of Death. Metric and Toole eventually admitted to Lucas that Toole had already been working for Metric for years. According to Court TV, Lucas later said that at the time, he’d felt betrayed by Ottis and manipulated by him into joining the cult. Be that as it may, Lucas happily stayed a member and committed many more murders at their behest. The group allegedly operated on remote swamp islands deep in the Everglades, accessible only by airboat. Police helicopters surveyed the Everglades and reported no sign of the encampments. Lucas told interviewers that the Hand of Death has connections to elements within the U.S. Government, so they were no doubt tipped off in advance to hide. 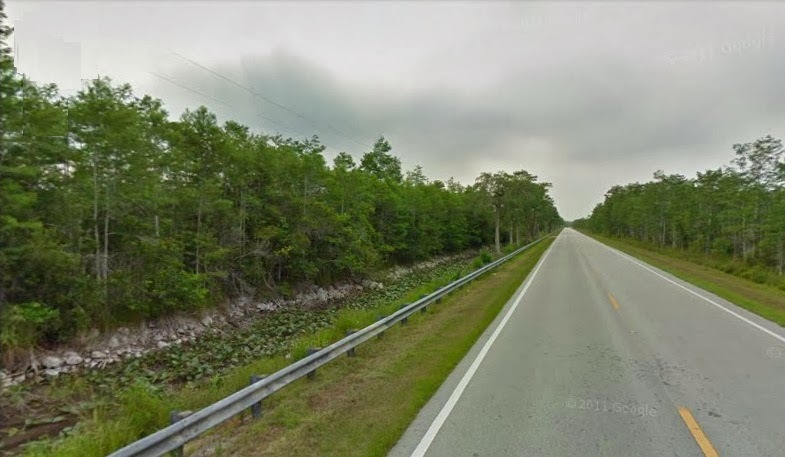 Lucas claimed that he was trained by a nationwide satanic cult in a mobile paramilitary training camp in the Florida Everglades…. Henry further claimed the leaders of the camp were so impressed with his handling of a knife that he was allowed to serve as an instructor. Following his training, Henry claimed that he served the cult in various ways, including as a contract killer and as an abductor of children , whom he delivered to a ranch in Mexico near Juarez. Three days before Lucas was scheduled to be executed, then-Governor George W. Bush (infamous for refusing to grant stays of execution to any Death Row inmate) did something he had never done before or since he saved Henry Lee Lucas from the electric chair and commuted his sentence to life in prison instead. Of all the inmates he sent to death, many far more deserving of leniency than Lucas (he even sent to death a great-grandmother who killed her abusive husband in self-defense) Bush chose to spare the life of one of America’s most notorious serial killers. And it could just be a coincidence that Toole, who was convicted in the state of Florida, shared with Henry the fate of having his death sentence commuted. Florida is, of course, a state that is also overly zealous in its application of the death penalty. Not zealous enough to execute the likes of Ottis Toole, however. In any event, it’s interesting that both of these men had their death sentences set aside in states run by a member of the Bush family. Toole died in prison in 1996, and Lucas in 2001. But the story doesn’t end with their passing. 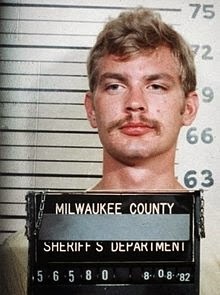 In 2007, rumors began swirling that yet another serial killer, Jeffrey Dahmer, was also a member of the Hand of Death. Though he lived in Wisconsin in 1991 when arrested, Dahmer had actually been living in Miami Beach at the time Adam Walsh was murdered, and two eyewitnesses placed Dahmer at the Sears in Hollywood on the day Adam was abducted. Dahmer preyed on young men and boys, and his modus operandi included severing his victims’ heads. Dahmer denied any involvement with the Walsh case or with the Hand of Death group, but we’ll never know for sure now because he was somehow killed in a maximum security prison by another inmate. All of this is something to ponder on while you’re driving down the long, lonely U.S. 41 in the Everglades, or the scary stretch of I-75 known as Alligator Alley there, connecting Naples to Miami for two hours of mind-numbing nothingness; dark swamps extending in all directions to the vanishing point.